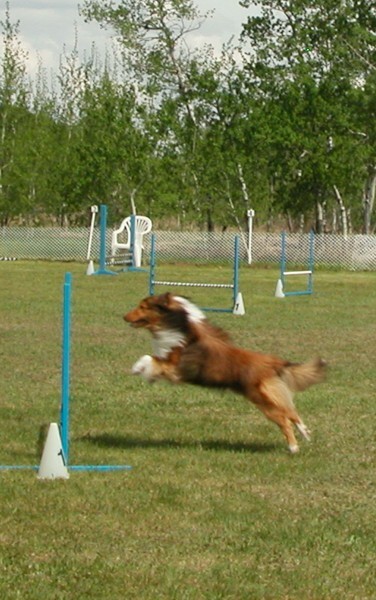 Heath was a singleton pup and when you only get one it is a blessing when it looks and moves like this guy does. 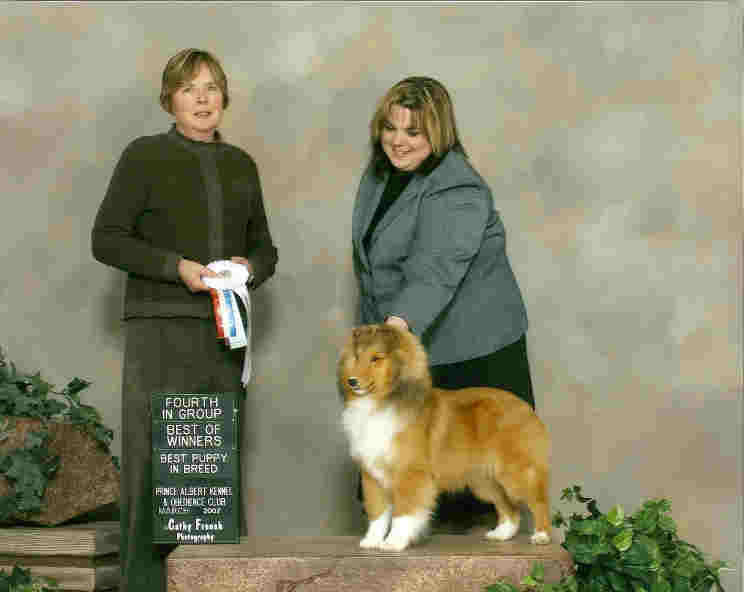 Heath's first time in the ring goes Winners dog while being quite a character, as his tail never stops waggin'. By the next day he pulls it together to receive a Group 4th. Heath finishes off the weekend with Best of Winners to end upon the dreaded 9 points and a Best Puppy in Group Win. 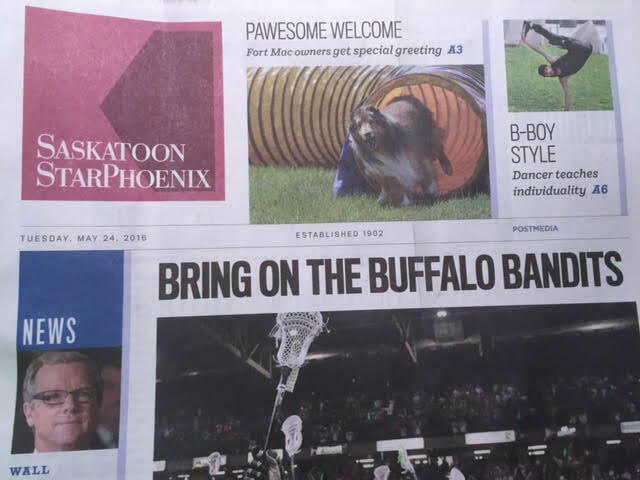 Heath has now taken up residence in the Tyler home in Saskatoon SK. Heath decided he wanted to go and live with his doggy relatives and keep them on their toes and wanted to train Nancy on what happens when you make eye contact with a dog who wags his tail. 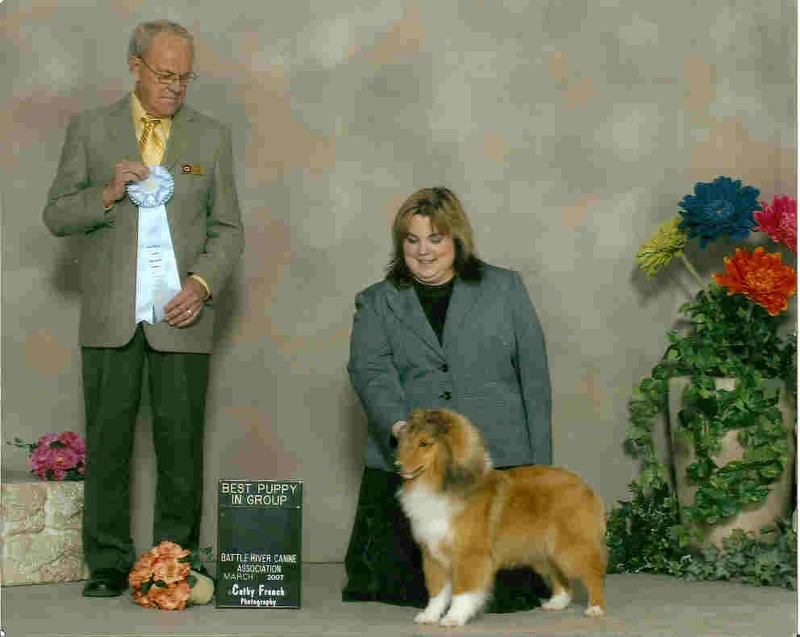 Watch for Heath in the Performance Events 2010. 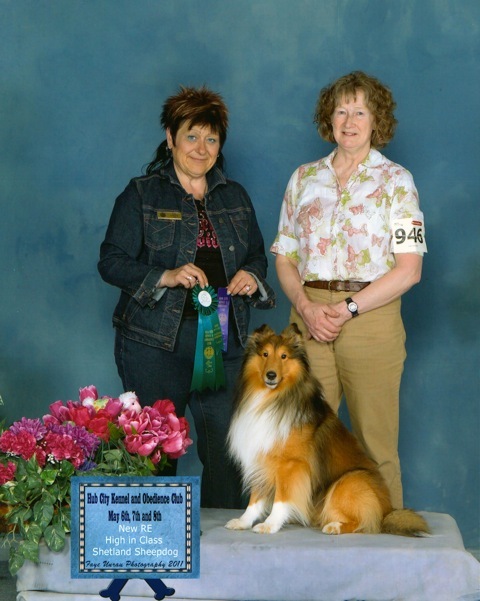 Heath has achieved Rally Novice titles in CARO and CKC. 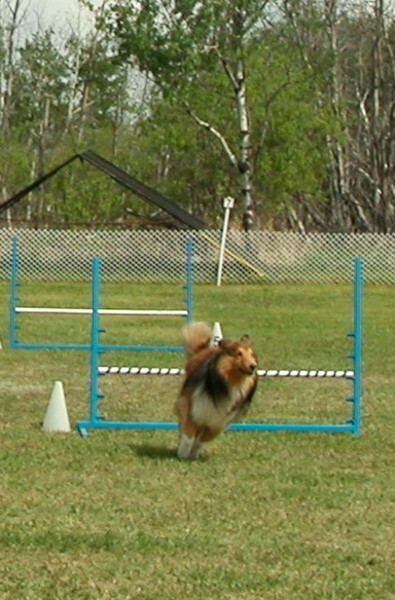 Heath becomes Zesta's first conformation Sheltie with an agility title, Yeah, Nancy and Heath.